My daily challenges as a working mother/woman are….Many! Finding time to work on my craft while keeping my children happy. Finding a way to balance meal prep, grocery shopping, exercise, house care, mothering and self care while still moving forward in my chosen career. The most rewarding about being a working mother….Most definitely it has been being able to be home with my boys. Being able to make a living while still creating a lovely life with and for them. Being with them in the morning, making breakfast and lunch, walking them to school, volunteering at school, walking to meet them after school. Being there. Essential must have for my career...Time and space to paint and strategize. My family…I have two boys, 8 & 10. My 8 year old is busy and loves to run around and play outside. My 10 year old would rather code computer games, read, draw and write. They are very different (there are pieces of me in both of them) but we find a way to be happy together. Family fun…We like to go for walks and bike rides, play at the park, go to Seattle and explore. We like to go swimming, have video game tournaments, and we love to read together, every night (Mama reads to the hubby and boys). Must have for family…Time, space and peace together, with no responsibilities, errands or scheduled activities. To stay organized…I have a PC and an iphone. I do not use any digital or computer calendars, I use only paper and pen. But my iphone helps me in many ways with posting photos to Facebook, editing photos, creating video, and keeping in touch with those I care about. Me time…During the school year, I work in my studio while my boys are at school. That is my me time during the week. Every 6-8 weeks I go on a “date” with my sister. In the evenings, I sometimes like to paint and listen to music or a show, but am also trying to be sure and get to bed early enough to be healthy and balanced! Oh, man, balance. It’s tough, eh? My favorite personal activities…Painting, walking, reading, visiting with a couple of my girlfriends. I wish I could find motivation to exercise more. I find inspiration… In the every day. In the sunlight sprinkling through the tree branches. In the mother walking past with her baby against her. In my boys sleepy stories and ideas as they drift off to sleep in my arms. Essential must have for yourself?…Time and space to be alone. Balance tips…Be willing to let go of perfection, both in the home and in the business. Realize that showing up is really important both in family and in business. When you feel like your list is overflowing with To-Dos, just write them down, then do ONE. Then do ANOTHER. Action leads to action. And when we have a sense of completion and pride, we tend to move ahead and complete something else. Also, it is very important to not have things on your schedule that truly don’t matter. There are so many little items we add to the schedule that won’t even matter the next day. Be stingy with your time and your schedule and where you put your focus and energy. Typical challenges in balancing it all…One big one is not feeling like I have done “enough” at the end of the day. Even though if I sat and wrote down everything I did (from playing catch with my son to folding two loads of laundry and communicating with 5 clients) I would see that I have done plenty. Sometimes I find myself wandering around at night feeling like I should accomplish ‘one more thing’, when what I really need to do is put myself into bed. How do you implement successful strategies around “balancing it all”? I do not always succeed at this. I write down my great ideas and I try to implement right away. Often, my wonderful ideas get lost in my journal! That is a challenge for me. I write everything down and I try to be super-efficient. I do not manage to balance it all. I do my best day to day and I try not to beat myself up. Two weeks down and 3 to go??? 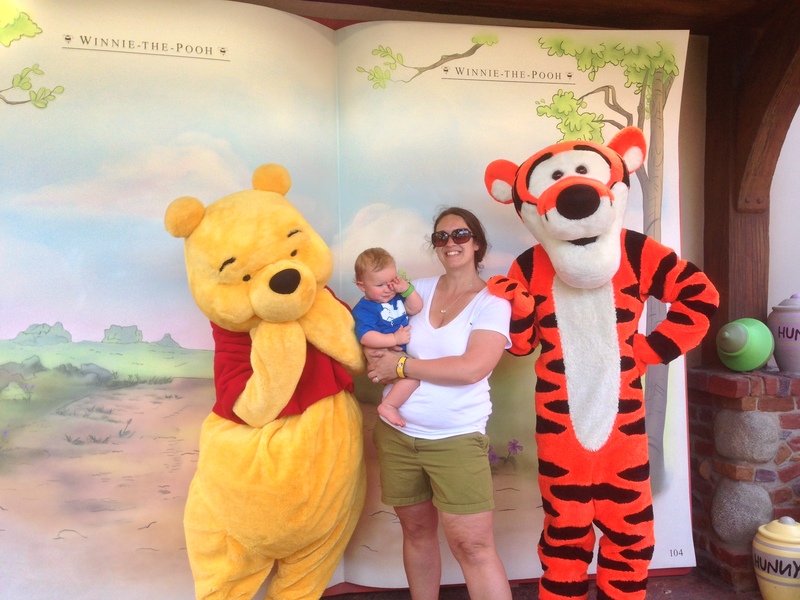 The latest news for this years Disney Moms Panel hopefuls….is no news until October! Everyone is dying to know their fate, but many of us are just enjoying the ride and supporting one another on this journey! I am keeping up with the latest info via twitter, specifically @gary_jerry. Gary works in social media and PR for Walt Disney World and Disney Parks, and has been really fantastic at answering questions and giving us updates from the judging panel. I mentioned a previously rumored number of 10, 000 applicants for this small panel of moms and dads, and gary shocked me with a tweet that the rumored numbers were and are, underestimated! This is amazing for 2 reasons, the first being that there is that much interest for fans to want to share their vacation planning secrets, and the second being that each of these applications are read by an actual human. None of us know who is on this panel and their names are not likely to be released, at least not in early rounds. The information that we keep hearing is just how good the applications are looking this year, and just how hard it’s going to be to narrow it down. My guess is they anticipated a high interest and that is the reason for the increase from 3 to 4 rounds. This fact makes me hopeful that I have a chance for round 2. This is not my first interview/audition with the Disney company, however, my previous experience has been live and in person. 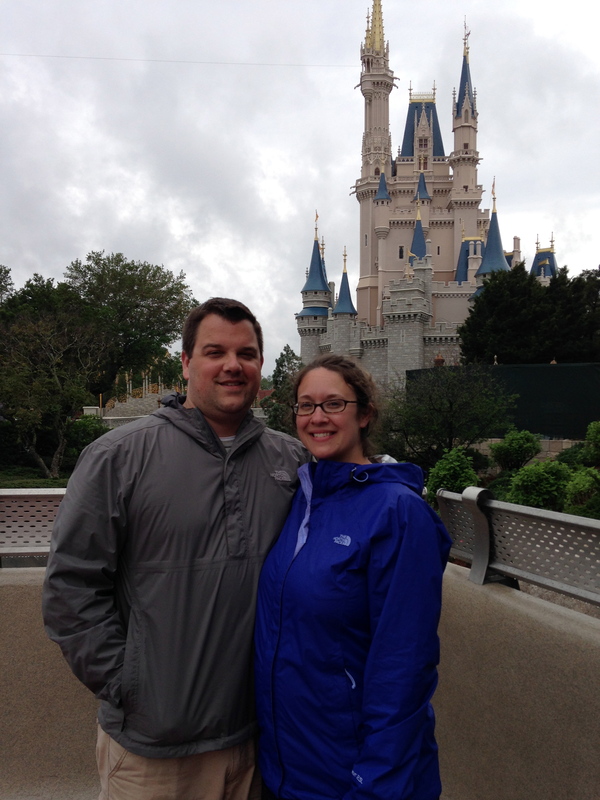 I was a Disney College Program participant and spent about 6 months living and working on Disney property. During that time, I auditioned for a character part and was lucky enough to be offered a position, but my family was a little less than thrilled for me to bail on yet another semester of college to fulfill my dream of being Pluto. In those circumstances, I was able to talk with an interviewer and really show my personality. Because the Disney Moms Panel communicates via written responses, it stands to reason that round 1 is comprised of essay/short answer questions. Round 2 will have a video component, perfect!!! I am already working on a strategy in the event that I am lucky enough to be asked to provide one. At this point I can’t think beyond round 2, just making it that far would be a major victory! Despite the odds, I am feeling hopeful. I have a passion and knowledge for Disney, and I truly enjoy sharing it as much and as often as I can. What this process comes down to is, does my particular style fit with the group they are putting together for 2015, and that remains to be seen. Each year Working Mother puts out a list of the 100 best companies to work for. As a working parent, you can attest to the importance of a support system not just inside the home, but at work too! I particularly enjoyed this video from AOL regarding their working mother culture. AOL offers leadership development programs, a nationwide women’s network with mentoring circles and workshops and unlimited tuition aid. In addition, mothers-to-be are able to schedule consultations with nurses and lactation experts, take free childbirth classes and parenting courses, join new-mom, parenting and breastfeeding groups. To top it off, there is a full-time onsite child care center in VA.
We would love to see more organizations in Boston jump into this culture mindset, where women are encouraged to flourish in their career but also be present and mindful when parenting. All working parents long for the same thing; to have the freedom to work (without guilt) driving their career forward in a successful way and to also be the best parent possible, offering inspiration, love and support to their children. Blissfulmamas strives to create a networking platform for working women to collaborate and celebrate all that they have accomplished. We are going to be releasing weekly notes with WiLab regarding career topics and look forward to your feedback. My story… I am Melissa Guimaraes and I’m a mother, wife, artist, art teacher, a graduate student and now, a small business owner! We live in Peabody, MA and are surrounded by family and friends. My husband has been my biggest supporter and when I originally, and very casually, approached him with the crazy idea of beginning my own paint party business, he didn’t think it was that crazy at all. What I saw happening all around me at local restaurants and bars was the really cool idea of a bunch of adults getting together to make a painting. There are quite a few nationwide businesses who focus on getting a few drinks into people while they fumble with a brush and have a great time while doing it. I loved the idea of people being creative – most of them probably hadn’t made a piece of art since a high school elective forced them to. What I wished to see more of, however, was the idea of families making these paintings together. Instead of in bars, during late hours, no one was catering to the afternoons, weekends or even early evenings. Basically, the idea of anyone under the age of 18 (more like 21 most of the time) participating in these paint parties was out of the question. 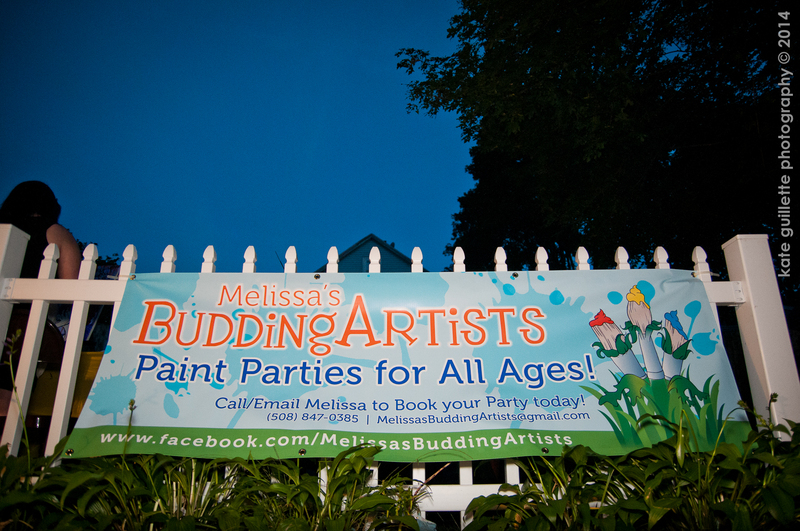 In mid-July I began Melissa’s Budding Artists, and we do paint parties for artists of all ages. 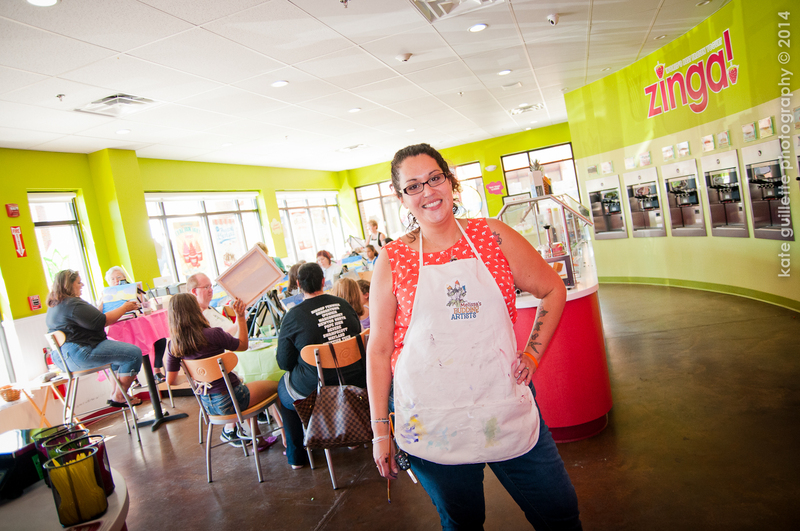 We specialize in throwing paint parties where little kids and adults can sit and create a piece of art, side by side. We aren’t only creating masterpieces, we are making memories! My career began… in May of 2003, when I graduated from Montserrat College of Art in Beverly, MA. By December, 2003, I’d finished my student teaching and earned my teaching certification. In the summer of 2004, I was hired by the same high school I graduated from to become part of the visual arts department. I’ve been an art teacher at Peabody Veterans Memorial High School ever since. Teaching art is my passion, there’s really no other way to describe it. It won’t ever make me rich but it is the most rewarding job and I can’t think of another career that would fulfill me the way teaching art does. My biggest challenge… as a mama, has been balancing my personal, career, and social life, or what’s left of it. With three children, you begin to really understand what people mean when they say “there aren’t enough hours in the day”. I’ve always thought there weren’t enough weekends in the week! My biggest reward… is to see the respect my six year old has for me, my career and my business. It fills me with joy to hear her tell others “my mommy is a painter” or “I want to teach art like my mom”. She’s already so creative and unique, I know she’s got the natural talent to draw. At work, I’m a role model to my students and I take that very seriously, as well. When I began teaching at 22 years old, some of my students were only a bit younger than me. After they graduated high school and went on to college, we kept in touch. Currently, I have quite a few close friends who were former students of mine. The first paint party I threw was in my own backyard and I sent out a Facebook Event Invite to all of the former students I could reach. That night, every easel I owned was propped up in front of a 20-something year old who used to sit in my classroom. That paint party was one of the most rewarding experiences I’ve ever had. Not only did it mark the beginning of my business venture, it also showed me that what I do makes people happy and proud. My career must have… is creativity. It’s not always as easy as it sounds, trust me! My family consists of… my oldest daughter, Kenna, six years old and just beginning the first grade. She’s kind, funny, smart and very sharp, also nurturing and has gorgeous hair! Kinsley is two and a half and is sometimes shy around new people, but when she’s warmed up to you she’ll be your best friend. Kinsley was the perfect baby and to this day has been a great eater, sleeper and gives the best hugs with encouraging pats on the back. Our youngest son, Boaventura, turned one in July. We call him Bo. (Boaventura means “good times” in Portuguese. It’s a family name my husband is very proud of, and I’ve always adored it, especially with such a neat meaning and cute nickname.) Bo is a sweet, smiley little baby who loves trying to keep up with his big sisters. We recently found out Bo has a peanut and egg allergy, so we’re monitoring his diet, and we have regular appointments with a highly recommended allergist on the Northshore. We also have our dog, Doby, who is like a little furry baby to me, and sister to the kids. Doby has the patience of a pre-school teacher and I admire her agility at times, especially when there are three kids on her tail. My husband…Jose, is a plumber who took on working many extra hours to make up for my unpaid maternity leave from teaching the 2013-2014 school year. He is an amazing father, and the kids absolutely adore him. I swear, you’d think a celebrity walked into the room when he comes home from work, and he is always just as excited to see them. Jose keeps me grounded and has taught me so much about parenting. I know I’ve found the perfect man for me because I can’t think of a way it could get any better than this. We are a bilingual family… Jose’s first language is Portuguese. He was born in Brazil and moved to America ten years ago. In our home, we speak Portuguese. My parents are from the Azores, so I grew up speaking Portuguese, mostly, with my grandmothers. When I met my husband, we hit it off right away because there wasn’t too much of a language barrier. Eventually, I learned to change my accent a bit, depending on the company. Kenna is bilingual and fluent in Portuguese. Kinsley is putting together words in both languages, also. And it’s obvious Bo can understand anything anyone says! Even the dog responds to both language swithout hesitation. Peabody is a very diverse community and we’re proud of our culture and the culture of those around us. It’s celebrated in our homes, schools and communities. To keep organized… I rely on the calendar app on my iphone, especially for long term dates and responsibilities. For the most part, I try to take it one day at a time while having the big picture in the back of my mind, too. 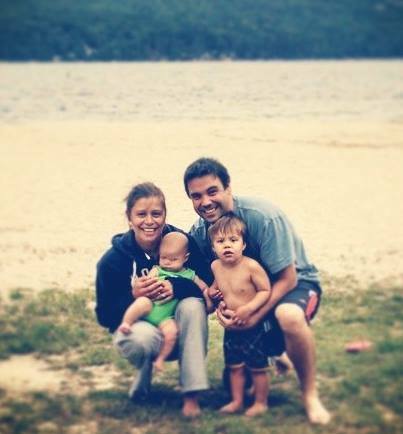 Our favorite family vacation… spot is the White Mountains in New Hampshire. We stay in this little inn where they have about a dozen horses. Jose grew up with horses and has instilled his love for them in Kenna. When we visit, Kenna takes several horse back rides on her favorite pony, Tinkerbell. During the summer, we also enjoy our pool. The kids love swimming. We have plans to fly to Brazil in the very near future to visit my husband’s parents and family there. I rely on my iPhone… in an almost unhealthy way. It contains everything I need to make it through my day and I would be lost without it. Some days, I wonder how I was capable of juggling anything before my iphone. Then I remember I had an iPhone before there was really much of anything to juggle. Our family must have… other than the obvious answer of “love”, is laughter. My husband is always going out of his way to make the rest of us laugh and I’m a bit of a practical joker myself. We’ve been playing a family game of “who can startle who the best?” where we go out of our way to try to get each other to jump! Kenna has perfected the art of hiding plastic insects in places like under our pillows and balanced on the bathroom door knob. As Kinsley and Bo grow up, Jose and I are both a little nervous about being outnumbered in our little game as Kenna teaches them all she knows! Me-time… is scheduled every few weeks. It isn’t ever anything too fancy, I’ve never been that kind of person. I’m happy sitting on a park bench with an ice coffee, while I doodle in a sketchbook. Sometimes, I’ll meet up with a friend for a liquid lunch, not going to lie! One of my favorite personal activities and one of the things I wish I could do more of, is painting. It must seem like between teaching high school art and owning a paint party business, I do enough painting. What I really want to paint, I never have enough time for. It’s always fun doing demonstrations for classes and creating new pieces for our gallery and calendar. Sometimes, though, I want to make art just for me. There isn’t a lot of hours left in the day to do that very often. Inspiration… I am inspired by a lot of different things in my every day life. Sometimes it’s the pattern on a paper towel, the cover photo someone just shared on Facebook, a t-shirt a student might be wearing; anything can be inspiration because it all starts with an artist. My students inspire me every day in the classroom. And my own three children are my muses, too! A me must have… is music. I don’t need cable or expensive purses. I need music. It pairs with art-making and it’s always on in the background at our house. My six year old daughter’s favorite band is Queen! Ice coffee is pretty essential, also. My advice to working mamas… is to take LOTS of pictures of your little ones! And pose in lots of pictures with them, too! Moms always seem to be the one behind the camera. I think it’s important to record memories that capture you in the those special moments, also. Don’t worry about how your hair looks or if you’ve got your makeup on. Just keep clicking away! You won’t ever regret taking too many pictures! I teach full time at a local high school and I throw between one and three paint parties every two weeks. I’m able to balance this schedule with the help of my family and friends. They’ve come through for me time and time again. My loved ones are an essential part of my success and without them, I wouldn’t be where I am today. The Balancing Act: To Work or Not to Work? Please check out our newest co-author of Blissfulmamas; Timna Molberger of WiLab. We will be frequently sharing her publications here at Blissfulmamas that relate directly to mamas, their career choices, family dynamics and me time! We are very excited about this partnership and look forward to upcoming posts from Timna! Once this difficult decision of what they want is made, they need to determine whether it is feasible for their family. If they want to be a stay at home mom, the question remains, is that option economically feasible? If it is, fantastic! However, if the family cannot afford for the mother not to work, then they have to start looking into childcare options and cope with the disappointment of not living up to their own expectations of motherhood. For women who decide to be working moms, can they afford childcare or do they have family/friends who can offer care? Childcare can be as expensive, if not more, than their annual salary. This is especially true if you have more than one child in daycare. Those who wish to work but cannot afford childcare or do not have family/friends who can provide care, face the difficult challenge of becoming a stay at home mom. That means providing a constant curriculum of activities to help their children develop individually, exposing them to other children to foster interpersonal skills, all while keeping their sanity. There is also the option of working part-time, at the office or at home, which may be a great solution for some women. This option not only requires the financial flexibility, but it also requires a flexible employer to support this decision. A mother may also decide to stay at home until her child is older, however, returning to the work force has its own challenges. I was fortunate enough to be able to pursue my choice of being a working mom. Since this is a blog for working women, I decided to focus on the challenges of finding a childcare option that is “right” for the working mom. Daycare – Finding a daycare that accepts infants immediately decreases a working mom’s options. Many daycares don’t accept children under the age of 15 months. With an average maternity leave of 12 weeks, finding a daycare is no easy feat. Daycares also vary greatly in what they offer in terms of hours, facilities, faculty, and activities. Since there are limited spots for infants, daycares can (and do!) charge a hefty price for these spots. Once a working mom has found a daycare that will take on infants, it’s the waiting game, literally. Waitlists for daycare can be months long, some people even put their names on the list before they are pregnant. Nanny – Fortunately, there are great resources to help find a qualified nanny through sittercity.com and care.com. However, working moms still need to find a person they trust and who will expose their child to the level of activities necessary for development. It is important they trust their gut! Nanny share is also an option that can help financially but takes some coordination to accomplish a successful experience for everyone. Family – Some working moms are fortunate enough to live nearby family members who are willing to take on the responsibility of caring for their child and like/trust their family member enough to have them care for their child all day. After all, often times these same family members have most likely raised them and/or another child. Some who go for this option, however, do so out of necessity. They need or want to continue to work and have no other affordable option for childcare. I have found that the key to finding happiness as a working mom, is being comfortable with the decisions they make. The last thing they need is to worry about their children’s health and safety while trying to succeed at their job. Sending my kids to daycare puts me at ease that they are getting the nurturing and development they need. Our daycare provides great care and communication with parents, which helps put me at ease. If I had to go back I would have made the same decision. About me…I’m originally from the South Shore (Weymouth, MA). Currently, I’m living in Dover, NH with my fiance Greg, our two boys, Cameron (2 years old), Alexander (11 weeks old) and part-time with Greg’s son, my stepson William (8 years old). Our boys birthdays are all within 10 days of each other! My career...I am a Board Certified Music Therapist and owner of a private practice, Sonatina Music Therapy, centrally located in Dover, NH but serving individuals and groups all over the state. I have a Master’s degree in Expressive Therapies: Music Therapy & Mental Health Counseling from Lesley University. This is my fourth year as a business owner and my fifth year as a music therapist! I LOVE my career! I specialize working in early childhood and with children and teens with special needs. I am 90% through with my birth doula certification and I have also completed an additional training to be a Music Therapy Assisted Childbirth Specialist; providing physical, emotional, psychological and spiritual support to mamas and their partners during pregnancy, childbirth and postpartum. I’m really passionate about working with expecting moms, infants and young children and helping mamas and babies bond through music. I get to share so many unique musical experiences with some awesome families! My biggest challenge has been learning to let go of feeling guilty! …Starting your own business has so many parallels to having and raising a baby! Before I had my children, my business was my baby. I worked hard to help it grow and develop! Sometimes I feel guilty that I’m not paying enough attention to my business and other days I feel guilty that I’m working too much and need more family time. I’m really learning how to let go of the guilt, do what I can and not dwell on what didn’t get done. Being a mother… has really made me a better practitioner in my career. I’ve always had a love and passion for working with children. After having my own, I was awakened to this whole new kind of love. Now when I’m writing clinical notes and evaluations, I’m always keeping in mind “this is somebody’s baby,” I think as clinicians we all tend to get a bit too clinical sometimes. It’s important to remember we’re talking about a person, somebody’s baby!! The best thing… about owning a private practice, especially as a mama, is the flexibility over my schedule! I feel lucky everyday that I get to have such control over my work schedule so that I can spend the time I want with my family. I love having boys…there is so much I don’t know about raising a boy so it keeps me on my toes and I’m always learning from them as much as they’re learning from me. I’ve had to accept that the house will be loud, my cabinets need to be stocked with band aids, things will get broken, and my fridge will be empty but I wouldn’t have it any other way! We love being outdoors…the beach and hiking are two activities we do most. We also love to just kick back and relax with family and friends. Sitting around the fire pit and grilling good food is how we spend most of our summer days when we’re both off together. In the colder months, we both love skiing but haven’t been able to find the time in the last two years with the boys so young. I’m hoping to get Cameron on some skis this winter! I make lists for everything… There are always one or two lists floating around the house and I put everything in my planner. We also are constantly communicating about who needs to be where when. Communication is really important for staying organized as a family. I’ve been thinking about using Google calendar as an additional communication tool to stay organized & maybe creating a family calendar. At the moment though we just talk all the time and use the old school day planner. Implementing successful strategies…I’m a stickler for lists, schedules, routines and “sticking to the plan” but one of the most important skills as a music therapist is being able to adapt what you are doing in the moment to meet the needs of your client. This is the same strategy I have to use for balancing my work and my family life. I try to implement a “no work during family time” rule but occasionally, I’ll get a call with something that needs immediate attention, or vice versa. I’m at work and my son needs to come home from day care because he’s sick, things happen and being able to adapt in the moment is really important. I take me time when I need it… I go for a run or I take a hot bath with a glass of red wine and a Real Simple magazine in my hand, and there is always music on in the background. I absolutely love a good workout. I love to run and I especially love to run in races. There’s something about the adrenaline that I get in a race that just makes me feel good all over! I also love Bikram Yoga. I’ve tried other types of Yoga and it’s just not the same! It feels good to release all the toxins in my body when you’re sweating that much! My kids inspire me…to be more creative, to get up and move, to have fun, to play, and they inspire my work. At home I try out new songs I’m writing for my early childhood classes on Cameron. All the boys love music and moving to music so we do a lot of singing and dancing in our house! Balance is essential…I’m not balanced all the time, nobody is. But I try to stay conscious of how the scale is tipping. If I’ve been working like crazy on a big project, I try to spend extra time with my family the following week. I love my family like crazy but I’m a better mom and wife when I get me time and work time too. Try not to be too hard on yourself. It’s so easy to feel guilty about not doing enough of this or doing too much of that. When you’re feeling guilty about something, it’s okay to bring it to your awareness but then let it go. And if you can, make changes that meet your needs next time or don’t, but don’t dwell too long, you’re doing a great job! Model the balance…. between working hard and play time for my boys. I consider myself a hard-working individual. I’ve had a job since I was of working age and I’ve never been unemployed for longer than a week. I value putting hard-work and effort into something that you love. I can already see this starting to develop in my toddler, Cameron. He loves to draw and color, he’ll do it for hours. Sometimes he tells me, “mama I’m working” and he’s very proud of himself! Other times he says, “mama wanna have some fun?” I hope that I can be a good role model for my boys. I want to instill my values for hard work on my children but I also want them to know how to balance work and play. We all need to play no matter what age we are, it’s important for our soul. As for the key to staying balanced… being really aware of my work-family-me ratios, keeps me in check for not letting the scale tip to far in any one direction. Also being really present in what I’m doing. If I’m spending time with Cameron and Alex, then I really try to invest my presence in that play with them, if I’m working then making sure I’m really focused on being productive and not wasting time so I can get right back to quality time with my kids. My family, my kids and myself all deserve quality attention so I make an effort to do that. I’ve definitely had my share of moments, and I get anxious easily when things aren’t going as planned and I get mad at myself from time to time if I zone out or have a day where we don’t get out of the house…but I’m learning to lighten up the guilt and I’ve come a long way in the last five years!! I’m learning to not get upset when we have to veer off the road and take a detour…. it will all be okay!